We’ve been hearing a lot more about autonomous vehicles lately, especially with Tesla and Nissan. But more recently, Toyota has jumped into the race with “Highway Teammate”. Due to release in 2020, Highway Teammate will be able to change lanes, merge with traffic, and overtake slower vehicles…but there is a catch! 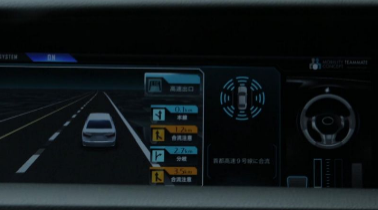 Toyota will not make their autonomous vehicles fully autonomous. The driver will still be responsible to navigate from behind the wheel. Toyota will only release partly autonomous vehicles because they are a cautious manufacturer and understand computers are not one hundred percent reliable. An example would be during urban driving. Since there are higher chances of an accident occurring in a more populated area, such as a urban environment, drivers will have to pay more attention and take control of the vehicle. This is a good safeguard in my book. “Toyota believes that interactions between drivers and cars should mirror those between close friends who share a common purpose, sometimes watching over each other and sometimes helping each other out.” – Highway Teammate creator. They have been testing out this technology in a modified version of a Lexus GS. It relies on satellite navigation, multiple cameras, and onboard sensors to ‘read’ the road clearly. So far, the car has made much progress and hasn’t been in any serious accidents. Toyota believes fully autonomous vehicles are possible and they are open to the idea, though they also believe there are too many cars on the road to justify everyone switching over at once with an autonomous vehicle system working flawlessly. It will take a few decades before the majority of cars on the road are autonomous. 2020 will be an interesting time since most car manufacturers claim they will have fully autonomous vehicles on the road by then (doubtful). I for one still enjoy driving and hope these robotic cars don’t interrupt that…although Elon Musk said there wouldn’t be any ‘drivers’ on the road in a decade. Thanks for the offer, Mr. Musk, but I’ll still be driving my Mustang.